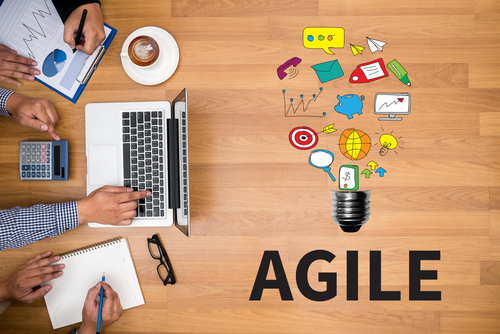 AgilePM is a complete package incorporating enough structure to manage projects and an agile delivery method. You don’t need anything else to manage and deliver projects in an agile way. It is easy to understand and apply to your business. The Agile Business Consortium (formerly DSDM Consortium) is a not-for-profit organisation behind AgilePM. This approach is a result of 20 years of experience and based on continuous feedback from private and public sector projects. Many agile approaches are based around ongoing product development and they are fine for that purpose. AgilePM recognises that a project environment is different from ongoing product development. It recognises that projects have a lifecycle and need to be investigated as to their strategic fit and a business case developed that defines the benefits and value that the deliverables will provide. The lifecycle in AgilePM encourages this through the Pre-project, Feasibility and Foundations stages. The Agile Business Consortium philosophy is that any project should be aligned to clearly defined strategic goals and focus on early delivery of real benefits to the business. “Early” being the important word. An agile approach should start to deliver benefit earlier than a more traditional project management approach. AgilePM has a defined lifecycle taking the project from early conception right the way through to benefits realisation. Cost is R5800 for foundation and R5800 for Practitioner. This includes the exam fees. Give me a call if you would like to sign up.